I balked for a while at the price of pressure testers though. And couldn't really find a workaround on the interwebs. So, after doing quite a bit of surfing on McMaster, I was able to piece together a tester for about $35, and thought I'd share my parts list with you all. You can see that I omitted the Gate Valve to save money in favor if just folding and crimping the flexible line to stop flow. This all totals out to around $35 with shipping I believe. I actually got the tubing from work, but this stuff I listed as #6 should be the same stuff. The hard to find M12x1.5 fittings are actually contained in part #4. Half of this part is the female portion, half is the male portion. I only ran the tests described once, just to see that my tester was working and everything was peachy. Good stuff! Not that I need it, but perhaps this will push people to stop throwing unneeded parts at the CIS system. 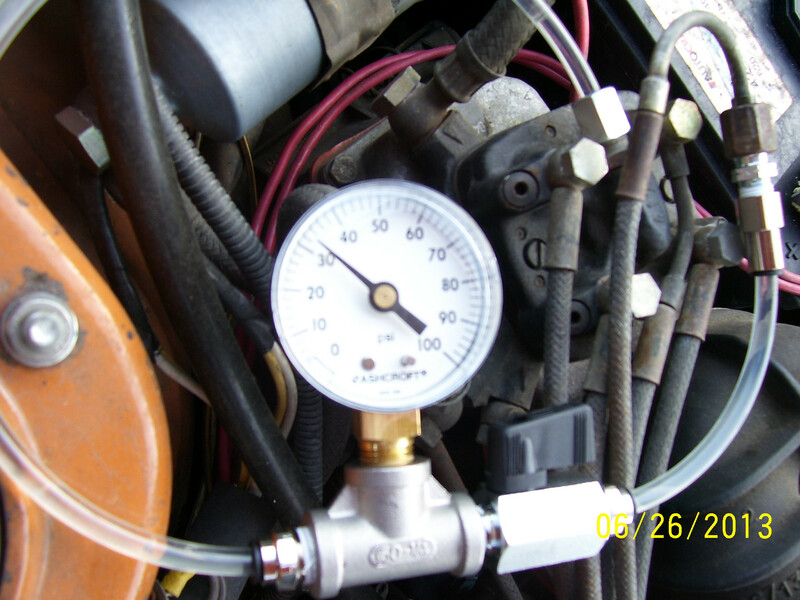 8359K tubing is non-reactive to gas and diesel! Last edited by rabbitnothopper; 06-23-2013 at 01:50 PM. Last edited by rabbitnothopper; 06-26-2013 at 08:56 PM. Brilliant thread. Parts on order! I'm glad someone is getting some value from this thread. I always try to post helpful mechanical stuff, but I worry that it often gets lost between threads about rounds vs. squares and 13" vs 15" wheels. I'm stoked you found an affordable valve rabbitnothopper. I consider myself a pretty skilled McMaster(bater), but I couldn't find anything suitable for less than $30. 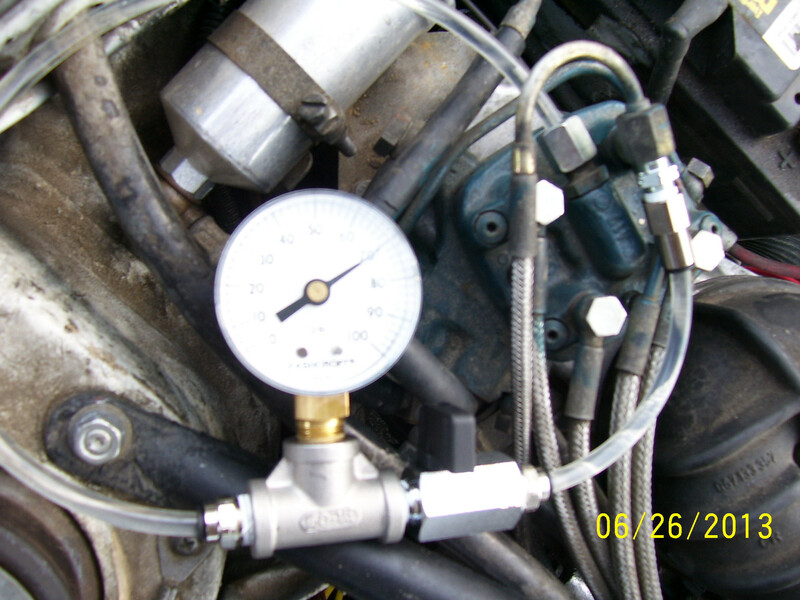 Cold control: 22psi on a 70 degree F day. I didn't record residual pressure, other than to say it stayed pretty stable for a long while. This sort of perplexed me because I think I have a leaky accumulator and suffer from what I think must be vapor lock. 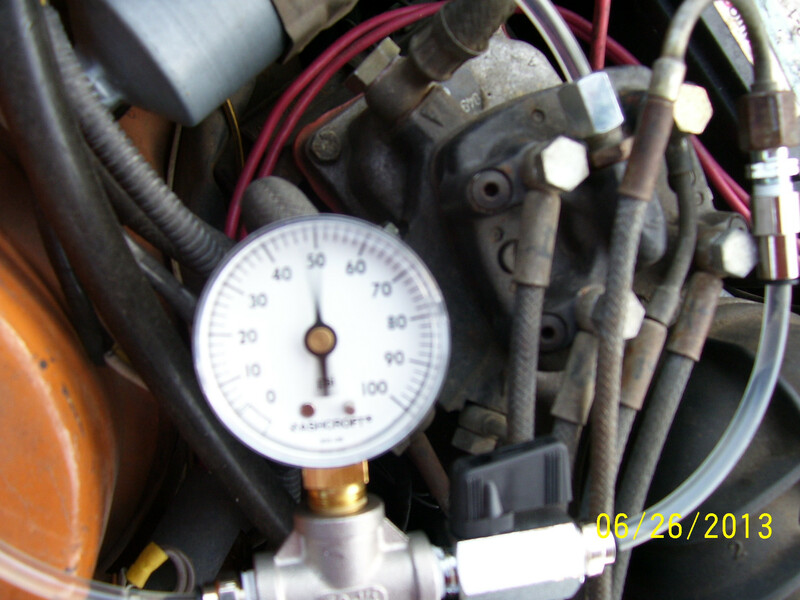 Which is the reason I built the pressure tester in the first place. I also have a slightly "Pulsing" idle. 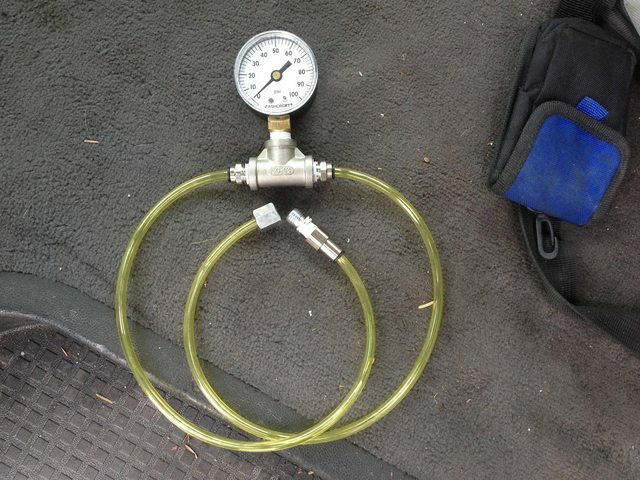 I hooked up my pressure test kit...I dont have any pressure on my gauge. ..or fuel for that matter. Whats going...this thing is driving me crazy. Last edited by rabbitnothopper; 04-10-2014 at 05:54 PM. My 8 year old son and I just put this together to help us figure out why our "new" '86 cabrio runs a little rough. Thanks so much! thanks for this thread. I am considering using this idea to create a permanent mount setup. as the original posts state. I said, "as the original posts state". meaning, it was my mistake. still says it right there. now go spend the $8 for shipping on a $3 part! Can I bump this for a little more info? 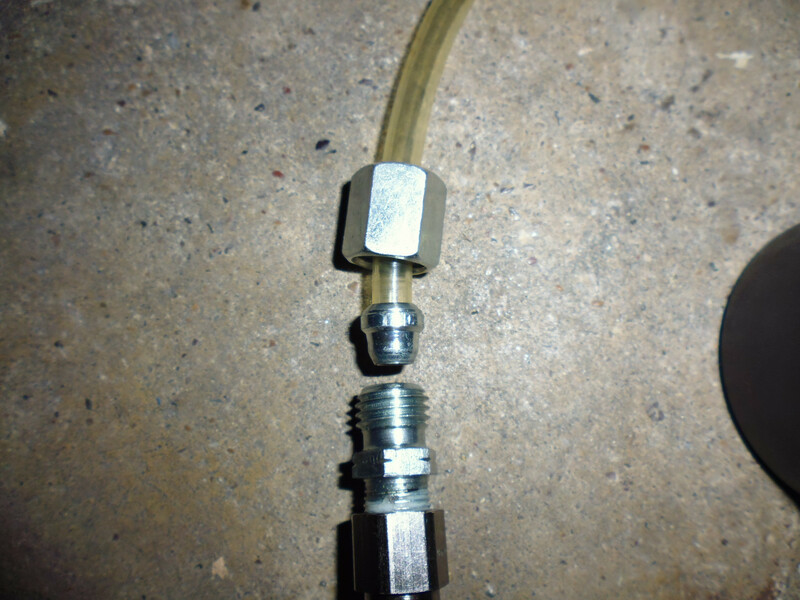 the Steel Compression Tube Fitting (part #4) comes apart to make the connection on the fuel distributor. I can see that the male end pairs up with a "quick connect" fitting adapter.. No problem there. But how does the female end work? 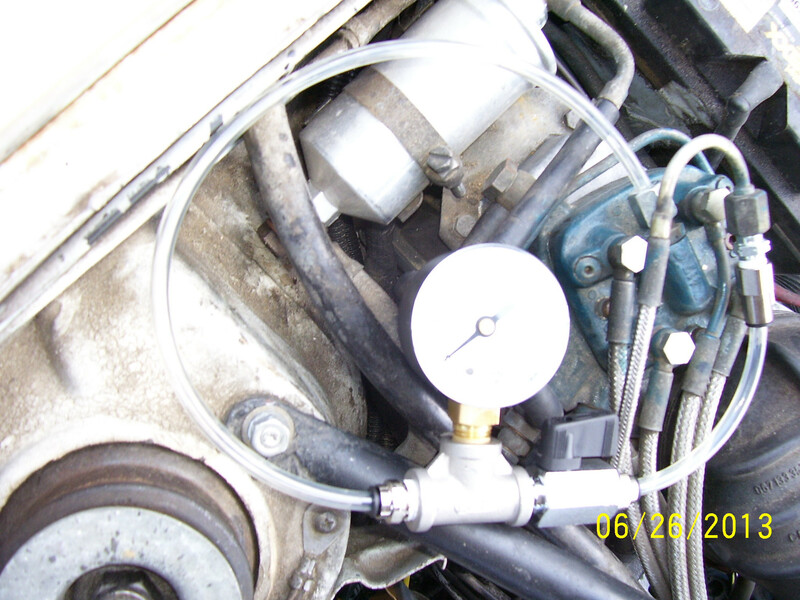 Also, do I need a 'sleeve' to fit inside the tubing before I attach it to the fuel distributor? Everything looks nice in the photos above but I'm unfamiliar with how these fittings work and I want to make sure I get it right the first time. 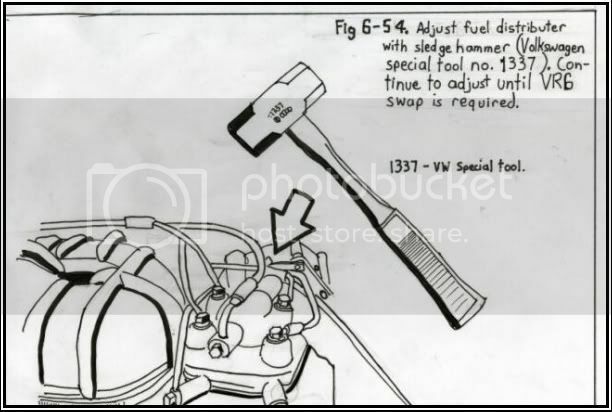 IIRC, I think there was a compression ferrule that goes around the plastic tubing, then tightening the female end to the fuel-distributor compresses everything together. 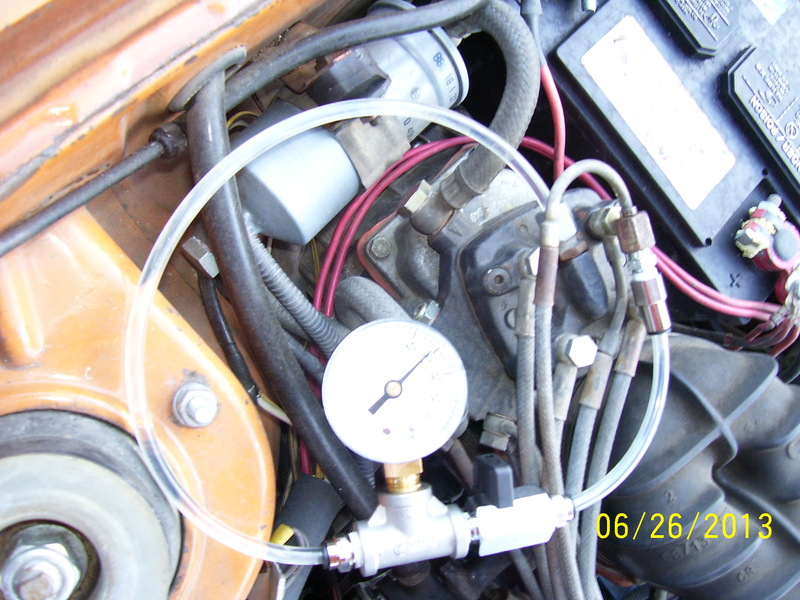 I haven't pulled the fuel line off the fuel distributor yet so the solution might be be right in there. As I mentioned, the small part included with the compression fitting is a little too small to get the nylon tube all the way through. when it's all tightened down. The part I have will not at all slide over the tubing. 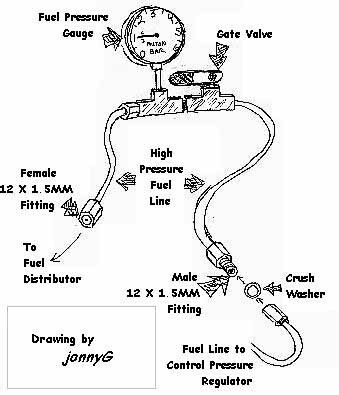 make sure I know what I'm doing before I pressurize the system. 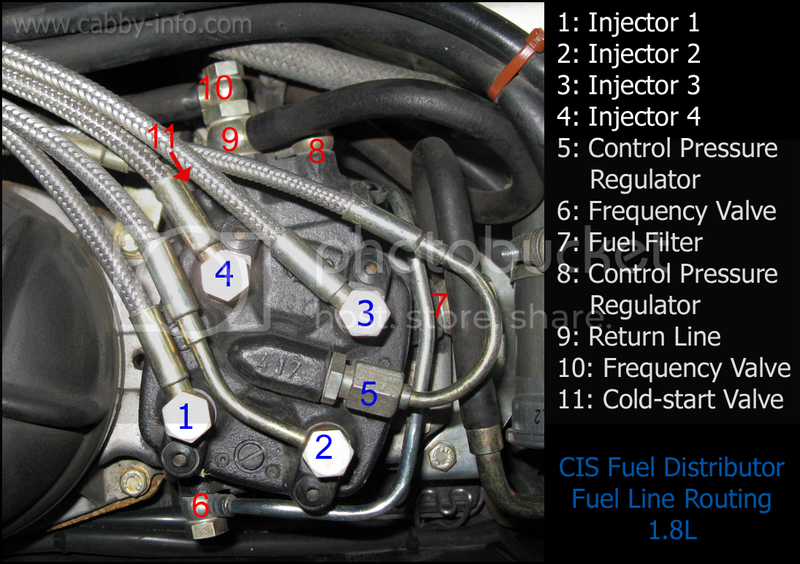 a 60PSI shot of unleaded to the face never hurt anyone. Wait...Yes it does. What's really bad is cracking the lines on a car that's been sitting for over a decade and finding pressure still in the system. I still need to build one of these, but I've been too busy chasing electrical and steering issues on my 'Ruck, and electrical issues on my Jetta. Last edited by rabbitnothopper; 01-15-2016 at 08:44 PM.